Tank is a 15 year old QH/Paint. He is solid chestnut with a blaze and 3 socks. He stands at 16.2 and built like a powerhouse. 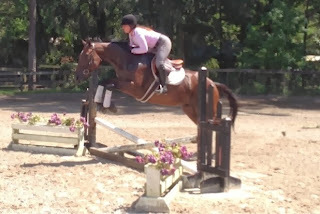 He will crack your back over a decent sized oxer. 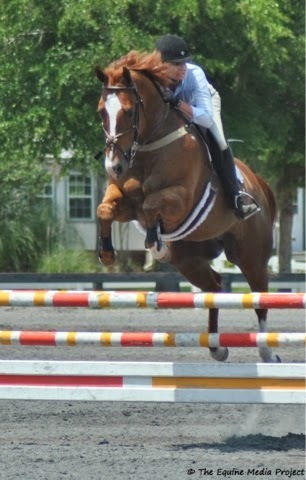 I bought him in 2007 as a greenie and showed him through 1.15m. I sold Tank 2/21/14. Ketel is 2010 model TB gelding. He is dark bay with just a small star. He stands at 16.0 and is still growing. 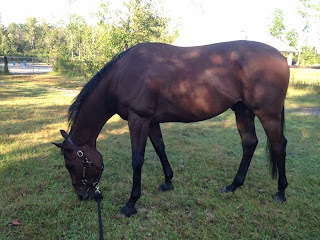 I bought him March 2, 2013 and he was 8 days out of race training at that point. He was sent down to Calder in Miami to learn to be a race horse and apparently was too slow so he went back home to Ocala. His sire is Graeme Hall and he is out of Scandals by Fortunate Prospect. I sold Ketel 2/21/14.